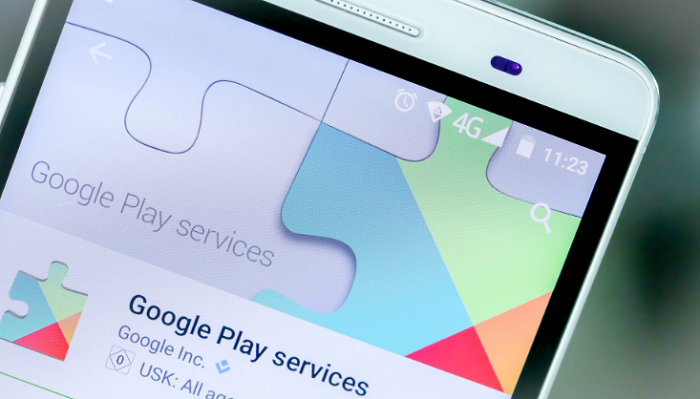 The “Google play service will not run unless you update Google play services error” is a common application error message that has plagued android phones users for long. It pops it’s ugly head when you launch or in the middle of using that app. Terribly annoying right? Today, we are going to look at how to fix this Google play service error. The problem started when I got my Tecno C8 Android smartphone which came running Android lollipop out of the box upgraded to marshmallow 6.0. Soon after the reboot, on my phone’s notifications area, the “google play service will not run unless u update Google play services” started showing. So, I clicked on it and it took me to the play store app which only has “open” and “uninstall” options! I tried cleaning the cache, clearing data and uninstalling it. I also went to Google Play Store > Settings > Build version (4.8.20) tapping on it and found that it said “a new version of Google Play Store will be downloaded and installed”, so I clicked on it but nothing happened! I did a search on Google and found out that several users who recently updated their device to Android 6.0 Marshmallow, have been complaining about random force close (solution here) and Google play service will not run unless you update Google play services errors for Google’s mobile operating system. It is ascertained that the Google Play services error is triggered by some permissions issue along the lines of Facebook chat heads problem. Go to settings >storage>cached data>clear cached data. Go to settings>storage>apps>google play store>clear data. Go to settings>storage>apps>download manager>clear data. Go to settings>security>scroll down to device administrators, tap on this and see Android device manager. Next to this ” uncheck ” in the box (Deactivate). Go to settings>storage>apps>google play services>uninstall updates. Leave the device for some time connected to internet and plugged the charger in. Google play services should update automatically. If it does not update, open G+app or google map. This prompts to update. Now go to settings>>>Android device manager >activate. Error 498: In this case, your phone’s cache is full. Try wiping the cache partition using your phone’s recovery. Error 919: Your phone’s storage can’t squeeze in any more applications. You’ll need to remove unneeded apps in order to continue. Here’s a useful guide on debloating Android. Error 403: You’re using two different Google Accounts on the same device. You’ll need to use the correct account. Error 927: The Play Store is already updating, so there’s no reason to troubleshoot this issue. Just wait until it finishes updating. Error 101: You have too many applications installed. Try removing a few. Error 919: Your Access Point Name settings aren’t correct. This requires getting the correct APN settings and reconfiguring your device. We helped this reader. We can help you, too. Got a burning question, or a tech problem you need to solve? Just leave any feedback or comments in the comments below! Good day. Please how do I complete the September 2016 Android system update of my infinix hot 2 phone that is 52.2mb. Each time I hit the restart & install botton, it’s start to install but shows error in less than 2mins and stops. I have tried this severally without success I even freed space by uninstallin apps and deleting many videos and musicals with nothing to show for it. I’ll be glad if you can help me out please. Thanks. Hello… I use to have the same problem on my device. It started when I rooted my infinix hot 2 and I was unable to run new update on it. So, make sure your phone is not rooted and I’d possible, reset to factory default before you will be able to update the OS. Bro, I was afraid u would say something like this. well, my phone is not rooted but I need ur assurance that a factory reset will solve my problem for me cos when I think of the stress of reinstalling all the apps I have and the amount of data required to update them is something else. I bought a chinese fairly used phone (lenovo 5860) . I discovered that there is no google service on it. I tried downloading apk for playstore, google play services and even google service framework but the more I install them, it keeps telling me it won’t run or that it has closed.